Ground floor steelwork is erected in the link section. This will support the sedum roof. 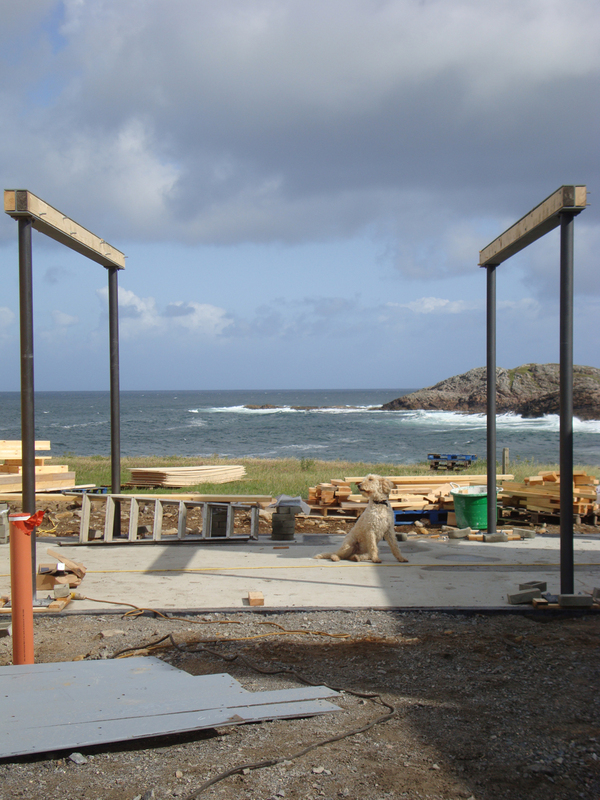 The ground floor timber frame for the 'new' west wing is put up. The window openings will be cut out later. The first new gable is placed onto the frame. 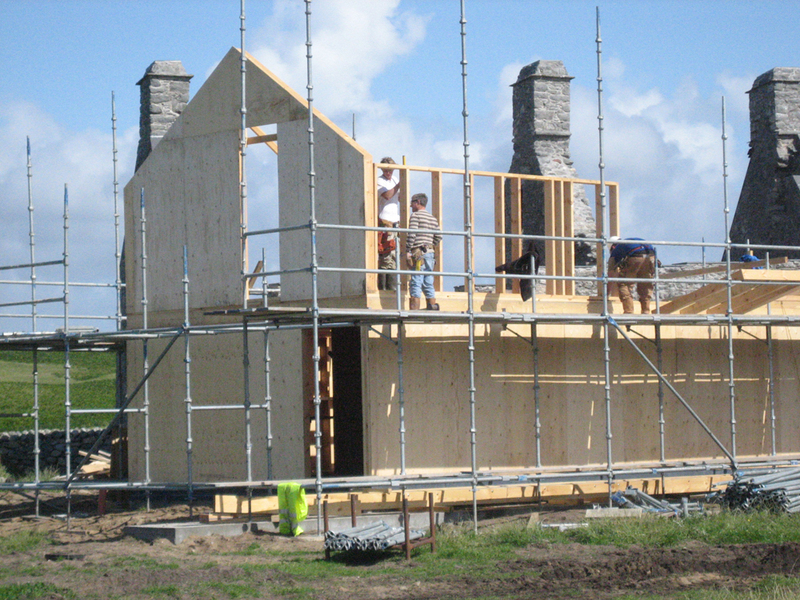 The panels for the upper floor were pre-formed and lifted into position.